This is a question I get asked quite a bit. 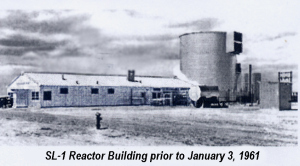 Yes, there was a nuclear meltdown at the National Reactor Testing Station (now Idaho National Labs) on January 3rd, 1961. A test reactor called the SL-1 exploded when a young operator on-duty raised the central control rod so high that it flooded the core with energy, causing the reactor to go “supercritical” in a fraction of a second. While The Longest Night is fiction, I tried to follow the particulars of the story as closely as I could. January 3rd, 1961 was, as in my novel, one of the coldest nights that winter–people reported temps as low as seventeen below–and new firefighters responding to the call, like Esrom, would indeed have had to ride on the back of the truck in open air as it sped down the highway. The firefighters on-call initially assumed that it was a false alarm. But when they got to the reactor and found the gate locked and no one answering the phone, and that saw that their dosimeters were giving readings of over 200 roentgens per hour, they knew that something had gone terribly wrong. The men (and one woman– a nurse who happened to be on-call that evening) who responded to the alarm were faced with a terrible dilemma. They could see that one of the operators in the building was dead. Another was obviously alive. The third was missing. But conditions on the reactor floor were so toxic that no one could be on it for more than a few seconds without absorbing more than a year’s dose of radiation. A few of the men decided their moral obligation was to rescue the operator who was alive, and the nurse on duty tended to him as the ambulance sped away into the desert, even though she knew that every second she was in proximity to his body, radiation was pumping into hers. I wanted readers to put themselves in this situation and wonder: what would they have done? In the weeks and years following the SL-1 accident, rumors circulated that the operator who pulled up the central rod had done it on purpose. The claim was that he was devastated over his wife’s recent decision to file for divorce, and so, in a murder-suicide, he knowingly yanked up the central rod out of the desire to end it all. As the years have gone by, evidence shows that this is probably not true. It’s far more likely that the reactor, which had been plagued by problems for over a year leading up to the accident, was a ticking time bomb for the three young, enlisted men working it that night. The men, told by higher-ups to wait for a new core that would arrive in the spring, had attempted to fix the reactor’s problems on their own. But there were only so many ways that individual men could fix a fatally flawed reactor. They tried everything, even using pipe wrenches to move stuck rods (the safety of which was inherently dependent upon their ability to move smoothly). But their patch jobs weren’t enough to save the reactor or themselves. As I wrote the novel, I chose the mechanical-failure interpretation over deliberate sabotage, finding it both more believable given the evidence, and also more poignant. How many people go to work every day in jobs that quite possibly could kill them? What puts people in a position where they continue working a job they know is dangerous? Is it pride, fear of poverty, the pressure to feed their families? When writing about Paul and Webb and the other men working the reactor around the time of the accident, I thought hard about who these men might be, and what might allow them to show up every morning at a job that did not care for them and did not protect them. So in the chapters leading up to the accident itself (which we know from page one will come), I tried to piece together these characters’ lives. Nat, Paul, and Jeannie are all given a chance to show who they are and tell their story. We will never know exactly what took place that freezing night in January of 1961. None of the men who were there have survived to tell us. We won’t know exactly how they were feeling about their wives, their children, their bosses. The historical fiction writer’s job, then, is to try to put the story together the best he or she can, in a way that explains the known details of the case and recaptures the essence of the time. Tucker, Todd. 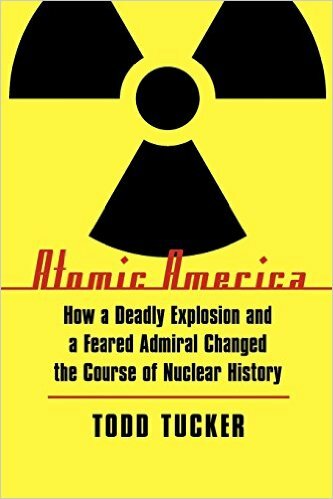 Atomic America: How a Deadly Explosion and a Feared Admiral Changed the Course of Nuclear History. Bison Books, 2010. McKeown, William. 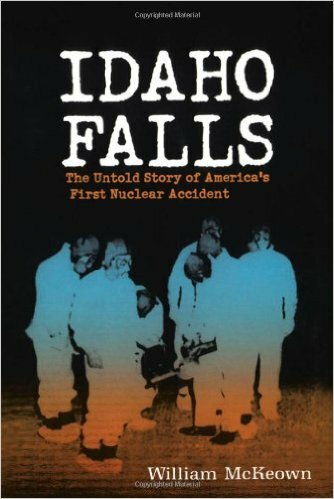 Idaho Falls: The Untold Story of America’s First Nuclear Accident. ECW Press, 2003. Love the explanation of why you were compelled to tell this story now. The Longest Night seems to be about so many things–marital dissatisfaction, 50s era conformity exacerbated by military culture and small-town Far West strictures, fear of techno-catastrophe, etc.–all kept together by your lively writing and sympathetic treatment of the main characters. I think it does capture the “essence of the time,” but it’s also clear that you are writing from a modern perspective that is alert to foibles, ironies, and lots of things the characters (and people who lived in the 50s) didn’t fully understand about themselves. Given the right director-writer-actor team, it will make a tremendous movie–can’t wait to hear your dream line-up for the Hollywood adaptation. Thanks, Peter!! Ooh, movie lineup……. FUN. As with a ‘Billy Lynn’ cast, everybody would have to be ridiculously young. Agree. All the “name” Hollywood actors I can think of are already too old to play Paul, Natalie, or Esrom. When I think about Master Sergeant Richards, my mind turns to the likes of Tommy Lee Jones, Woody Harrelson, or Ed Harris, but they’re now all way too old now for even a senior enlisted man such as Richards, who is ancient in the eyes of Paul and Natalie. More to follow as more thoughts occur….